My four-year-old swelled with pride as she held out her pink Mother’s Day card, pinching it between her thumb and forefinger, each topped with chipped, neon pink polish. Her signature was barely legible, but her facial expression said it all. The pride she felt in the card was the pride I felt in her. I wrapped her up in a hug, so thankful for the gift, and thankful to be her mom. Later in the day, my two-year-old son looked up at me during church and whispered, “Kiss me, Momma.” I nuzzled into his sweet face and smiled, so thankful to be his mom too. On days like these, when motherhood is blissful, and my husband grills steak to celebrate Mother’s Day, it’s easy to say thanks. It’s like gratitude jumps out of me; I’m swimming in it. But some days gratitude doesn’t work. I grab my notebook, and no matter how hard I try to write myself into thankfulness, I cannot manufacture it. #1. I’m thankful for the seventy degree day–I will be working inside for most of it. Boo. #2. I’m thankful for our home–which is messy AGAIN. #3. I’m thankful for this pen–WHICH JUST RAN OUT OF INK! BAH! On these days, the negative cascades like a veil over my eyes as I notice the ugly, complain-y, whiny things of life. Don’t get me wrong, sometimes gratitude works wonders. Sometimes just the practice of making a little list completely shifts my perspective. But sometimes it’s like the gears are jammed up, and gratitude feels broken, no matter how many things I list. I learned recently that the word gratitude has the same word root as the word grace. Neither grace nor gratitude is a cheap sing-songy thing. Both sound sweet and innocent, but real gratitude, real grace, costs something. 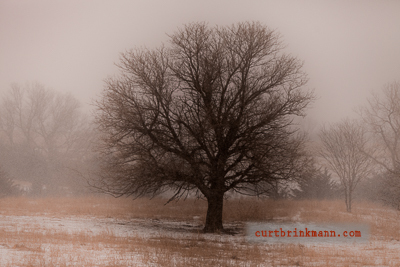 On these gray days it’s not the gratitude that’s broken, it’s something in me that needs shifting. The inability to “feel” my gratitude list is a reminder that I need a reset, and sometimes a rest. Sometimes the reset I need is to forgive someone, quite often I need to forgive myself, or I need to say kindly what I’ve really been thinking. Other times I’m sad or angry, but haven’t slowed down enough to take a deep breath and notice. And just seeing that, just knowing, just stopping long enough to see my ungratefulness is strangely something to be thankful for. So, when I say this blog’s title, Gratitude Gal, I don’t say it like a spunky cheerleader. No, gratitude gal has a different tone to it, one that’s only shininess comes from the waves of life crashing over and over again. Sometimes I’ve felt bad about myself when I don’t feel sunny, when gratitude doesn’t flow out of me like a faucet. Where did I get the idea that life would be perfect? Sometimes in rare moments we can be thankful even for the hard parts. Yes, life is beautiful and amazing, but it’s also full of really tough stuff. Real gratitude realizes this isn’t all perfect, and says thanks anyway. Gratitude holds on to wonder even when its grip is slipping. Gratitude has the courage to look for lightness and possibility, even in the midst of the muckiness of life. And yes, sometimes gratitude feels pretty crappy, and her pen runs out of ink. But she tosses it out and grabs a new one, offering her barely legible gift of thanks to a Giver who sees her offering as more than enough.